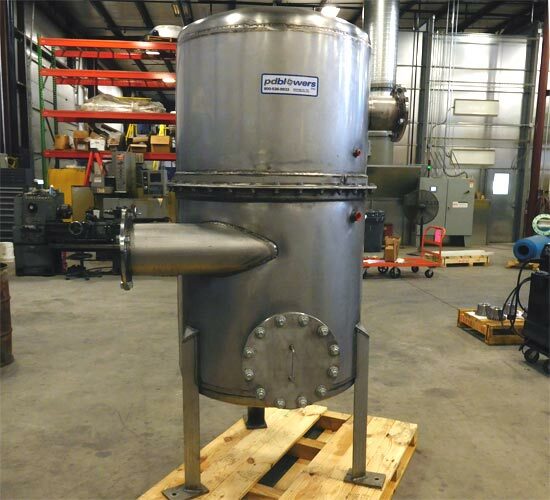 Custom Air Water Separators | pdblowers, Inc.
Air/water separators employ a vacuum system with specialized materials and construction. Our design has evolved over the years for better and better results. 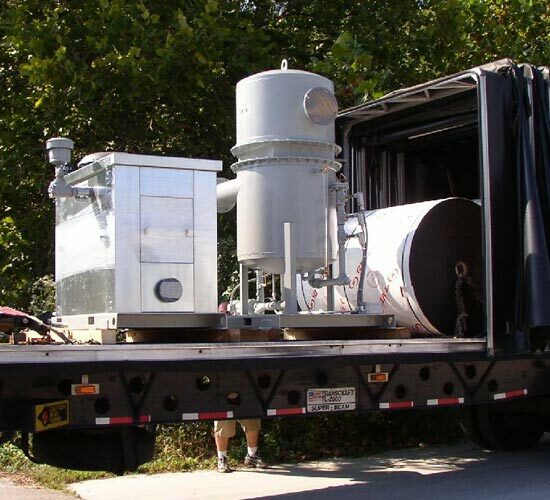 We often build them for environmental cleanup purposes, but they’re used across a wide range of industries. 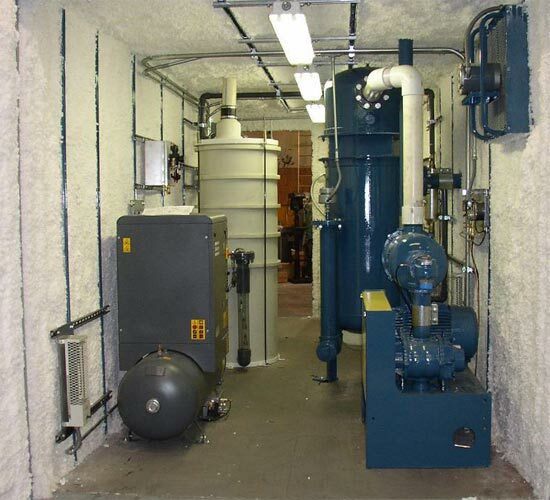 Our current solution for air/water separation is the result of twenty-five years of product development. 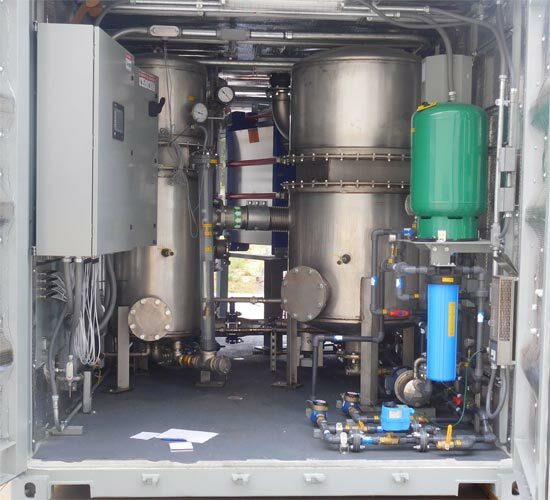 These solutions are widely used in soil remediation to separate contaminated water and vapor for treatment, in manufacturing processes, and in any vacuum application that requires liquid separation prior to vacuum pumping. 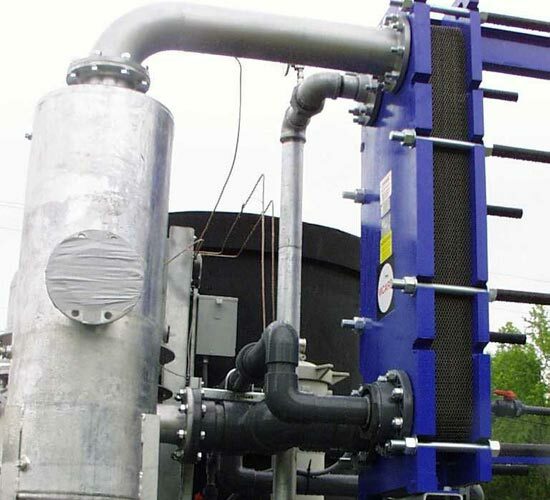 Depending on your application, air/water separators may be used as stand-alone units, or integrated into a system with more processing goals. 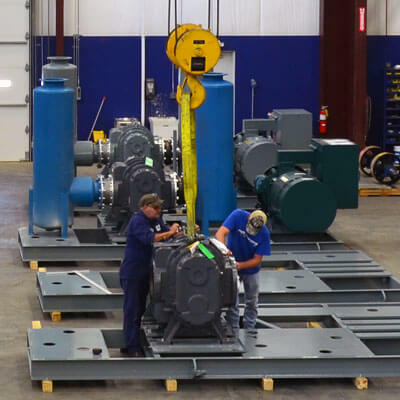 When we first started building large-scale vacuum pump systems in 1992, the air/water separators on the market couldn’t meet our project needs, so we started building our own. As we experimented with higher vacuum conditions, we found that the cylindrical body type provided the best strength and rigidity for the separation. It also allowed us to use gravity as a first step in the air/water separation process. We changed the inlet design to direct the mixture in a tangential direction to the walls of the separator where it drips down into a reservoir. 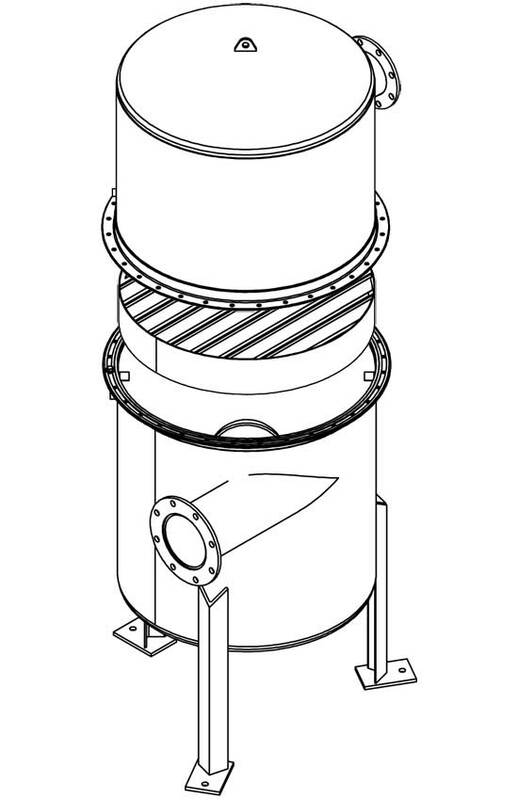 We used our experience in pulp and paper processing to add another separation phase, creating a tortuous path for the air/liquid to travel—a baffle section. Forcing the flow through a tortuous path results in the water coalescing out. At the last stage of separation, the mixture goes vertically up and then we force one last turn in flow direction to knock out additional droplets that may still be entrained in the flow. We continued to modify the process to account for other aspects of the separation process. 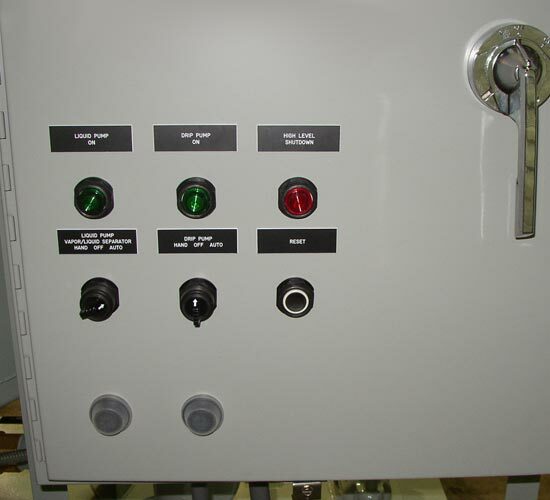 To accommodate the variable conductivity of the liquid/contaminant mix, we found that basic external level controls with float switches, mounted in a stilling well were the most reliable. We added an anti-swirl baffle to prevent a vortex that may inhibit liquid inside the reservoir from being pumped out. We also enlarged the reservoir capacity to store more water until it was pumped out. The positive displacement type pump (the Moyno progressive cavity pump) works well for the extraction purpose. 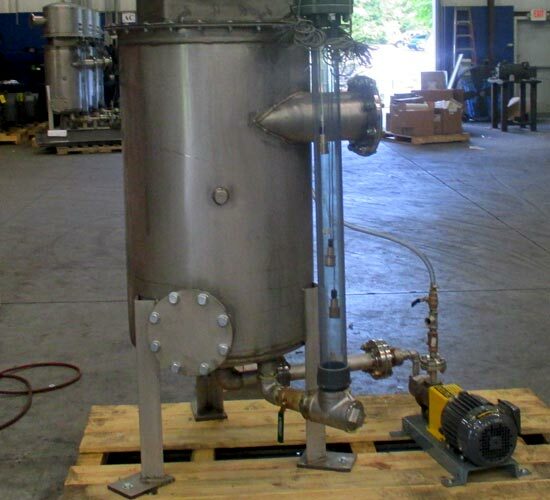 Stainless steel separator. Inspection port allows cleaning and maintenance without disassembly. After years of field work watching carbon steel materials rust, we added a strainer to the suction side of the extraction pump for short-term applications. For extensive use, we recommend stainless steel. 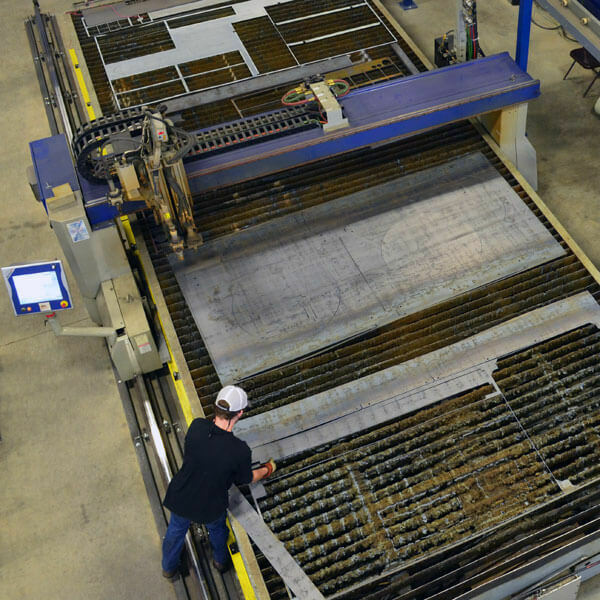 All of our baffles are stainless steel, to avoid rust and corrosion. Our separators are separable in themselves! This allows them to be taken apart for maintenance. We also include an inspection port for cleaning without disassembly. Since it is separable, an internal coating can be used, which slows the corrosion process. 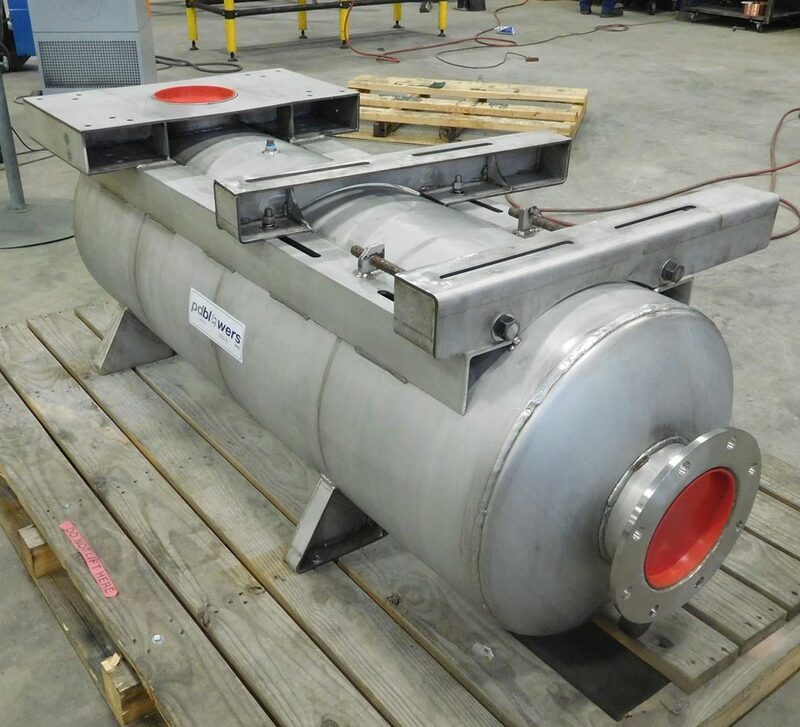 Different coatings—from epoxy to polyurea and galvanizing—degrade after exposure to contaminants, or break apart and damage or clog the extraction pump, which is why stainless steel is our recommended material in this application. 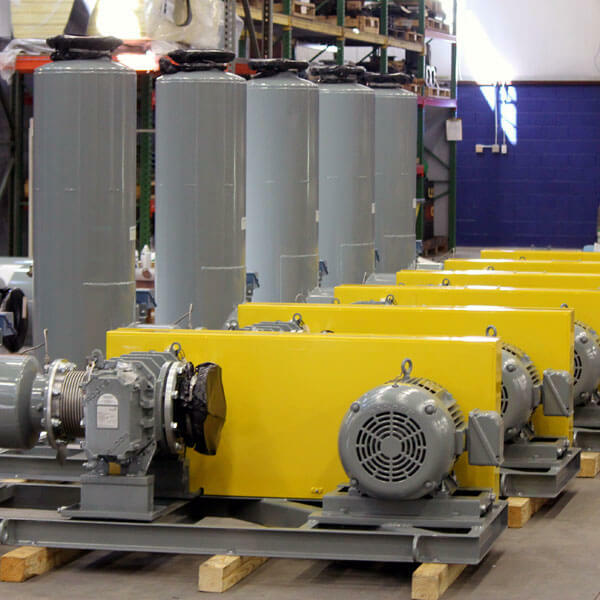 Our separators can be used with a barometric leg system and customized to work alongside other processes. For more information about full customization of materials, or to talk about air/water separation for your system, please be in touch. 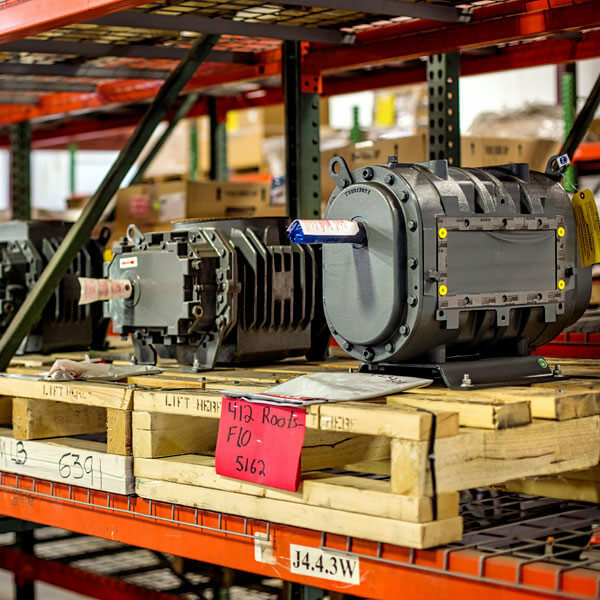 Our knowledgeable application engineers will be happy to discuss what our shop can do. You can also read more about how our air/water separators are integrated in fuller systems for Soil Remediation applications.